Winston Churchill famously quipped: "democracy is the worst form of government except all those other forms that have been tried from time to time" . Which of course does raise the question are there other forms of government which could be better than democracy? Perhaps there be a particular implementation of democracy which works better? Contextually, what are the trends and technological influences and challenges? Careful consideration of these questions leads to a three-part evaluation; (a) the sense of res publica, (b) the relationship between democracy and informed decision-making, and (c) deliberative isocracy in the age of the Internet, which introduces the possibility of an informed and participatory public sphere. Democracy is a contested phrase. As is well known the the literal translation from dêmoskrátos means 'rule of the people', which in at least the Ancient Hellenic concept meant all free people and was considered in opposition to aristocracy, the rule of elites. It does not, however, refer to how this rule is implemented, which leaves for a variety of alternatives all of which at least pretend to call themselves democracies. There is various forms of liberal democracy, people's democracies as variants on political economy and polity, of varies degrees of representative versus direct democracy, and various degrees of participation. The Marxists, for example, claim that their various states are a "People's Republic", and that liberal democracies do not remove capitalist class rule: "The oppressed are allowed once every few years to decide which particular representatives of the oppressing class shall represent and repress them in parliament" . This is a two-fold criticism, the first being that that liberal-capitalist democracy does not alter oppressive class relationships, and the second being that representatives are selective and distant. In their implementation a People's Republic continued representative systems, and in many cases continued multi-party systems representing different classes, albeit invariably with the working-class representative group, a communist party, as the sole leading agent and invariably the final authority . In contrast the liberal-capitalist democracies, presuppose political parties which are determined by association rather than allocated class, and a separation of powers between legislative, executive, and judiciary . Whether implemented as part of a constitution or legislation, liberal democracies have displayed a superior commitment to any other widespread government system in history to the rule of law (Rechtsstaat), human and civil rights, and institutional transformation, as well as providing the conditions for notable improvements in human living conditions worldwide. Largely satisfying the political criteria of legitimacy  it is perhaps not surprising that liberal democracies are considered superior to the "people's republic" versions, and have largely outlasted that model even if the main contention against them - the maintenance of class society and lack of participatory direct democracy - remain unresolved issues . Any progressive alternative to liberal-capitalist democracy must therefore provide not only all the rights and benefits that it provides, but ever more. Two other criticisms of democracy as a whole need to be addressed. The first is the aristocratic and elitist argument, "Democracy is the power of equal votes for unequal minds" . In more recent decades, following the general rejection that aristocratic rule was validated by bloodline, arguments for meritocratic elitism are popularised. This discussion will be reserved for the following section on democracy and informed decision making. The other general criticism is the much discussed issue, of a "tyranny of the majority", (or sometimes "ochlocracy", "mob rule", which also includes illegal activity), where a the majority of a population, using democratic means, initiates and imposes authoritarian legislation whether on individuals and minority groups or, by well-organised minority groups to a complacent majority. The term "tyranny of the majority" was coined by John Adams and was popularised by Alexis de Tocqueville , referring to a totalitarian pleocratic system. As a major issue of concern for the framers of the United States of America, two famous regulatory aspects to prevent this were introduced. The first was a system of federalism, which empowered local administrations. The second was the constitutional protection of individual rights and liberties (e.g., Déclaration des droits de l'homme et du citoyen and United States Bill of Rights 1789, UN Universal Declaration of Human Rights, 1948). In both cases these are good foundations, but foundations that require additional construction. The principle of federalism is, in principle, a good one, however it must also be coupled with an sense of scale appropriate to the subject matter; claims for universal rights transcend localised discrimination . In both cases, the Roman concept of a res publica, which infers its complement, a res privata, is appropriate, extended and scaled to include a scope of mixed aspects (such as the concept "bundle of rights"). The ontological grounding of the individual establishes the right to self-regarding acts that are outside the scope of public legislation. The legislation concerning other-regarding acts depends on the scope of the activity on whom is an appropriate stakeholder and to what degree they have legitimate authority in the determination of activity . To describe these as broadly social, rather individual, is a paradoxical insight by Hannah Arendt who locates freedom both socially and as a conditionally as 'action', beyond 'labor' and 'work' . Individual freedom is not only guaranteed and limited by social laws, but also involves the civic republicanism of a "pursuit of happiness". Democracy, expressed as majoritarian power, can be an oppressive system of governance unless limited a priori by liberal rights, appropriately-scaled federalism, and opportunities for civic participation, such as a liberal-democratic system. However even when such guarantees and opportunities are in place, there is still no guarantee that a democracy will provide the best or even better decisions than alternatives. One such alternative is the argument for a meritocratic elitist system, such as a noocracy, epistocracy, and so forth  all of which are predicated on the recognition that not all people are as capable decision makers than others. It is an issue which the ancient Hellenes recognised and unsurprisingly such critics often consider themselves to be the more appropriate decision-makers in contrast to others. But is this really the case? Is there not the possibility for equal opportunity for citizens of adult mind to make informed decisions in the governance of the public sphere? The issue being addressed is threefold: Firstly it relates to the relationship between democracy and education from which John Dewey, Lawrence Kohlberg, and Paulo Freire, are prominent. Secondly, the notion of a deliberative democracy as elaborated by Carlos Santiago Nino and James S. Fishkin, among many others. Finally, the relationship between decision-making, accurate information, and agnotology - the deliberate campaigns of misinformation by powerful groups to induce doubt contrary to evidence or, in a popular contemporary term "false news", which Jurgen Habermas, Robert Proctor, and David Dunning have provided important research. Combined the three approaches mean that the best decisions are those which come from free and accurate information which is accessible. The sort of education system that is appropriate for a system that claims to be modern, liberal, and democratic must be different to those which do not have their characteristics. Premodern societies require only an education appropriate and in accordance to the stratified political rank that a person is allocated to by birthright . Even in a society that claims to be democratic, if the curricula does not allow for the evaluation of moral problems in a secular and reflexive manner then the subsequent political development will also lack adaptability, dynamism, and the capacity for institutional change . In an environment which does allow for such free consideration of shared circumstances the formation of social solidarity across individual interests became an emancipatory interest . Assuming that all these preconditions are in place - a public sphere democracy with civic republicanism, a reflexive pedagogy - the possibility arises for a deliberative democracy. Whereas a republican democracy even with this preconditions could still allow for expressions of majoritarian power via political representatives, a deliberative democracy, depoliticises government , that is, it reduces the influences of political organisations in favour of civic participation limited to those who are prepared to evaluate an issue of public importance in the similar manner of deliberation as carried out by jury trials; that is, by an evidence-based analysis of the facts and expert opinion. It is, in effect, an "epistemic democracy"; as Nino argues , democratic deliberation provides a wider range of cognitive approaches and evaluations and is therefore more able to provide better moral grounding of decisions that than that of an individual. This has received empirical confirmation by Fishkin , noting that deliberative democracy leads to improved results when people offer informed judgements about public policy. It is not as if deliberative democracy is a panacea however . As with any process of deliberation there is a significant time factor involved. There are issues with either allowing for self-selected participants or other sortition processes. As should be expected participants in deliberative assemblies (e.g., Danish Consensus Conferences) become better informed that the general public leading to a knowledge gap, and will change their opinions in the course of deliberation, therefore reducing the use of conferences as a gauge of (uninformed) public opinion. It is clear that deliberative democracy is a partial solution to the issue of allowing and encouraging social integration in a complex society. Without an avenue for informed civic participation, the scope of effective governance will be limited for the simple reason that collectively we know more than any individual or subset of individuals can possibly know. Of course, the capacity for people to deliberate successfully is dependent on the information they receive. Whether this in the small scale, such as a Danish Consensus Conference, or a more contemporary deliberative poll, or the opinion of the public as a whole. It is in the latter case that an interest in the public sphere is of importance, especially in the degree of variance. Most contemporary discussions discussions on the idea of a 'public sphere' (Öffentlichkeit) are founded on Habermas' definitional work  which argued for principles of inclusivity and common interest where majority decisions have legitimacy when: "rationally motivated but fallible result of a discussion concerning the judicious resolution of a problem, a discussion that has come temporarily to a close because coming to a decision could no longer be postponed". Thus the criteria for a public sphere is where citizens can engage in political processes to discuss matters of import without internal or external coercion and where the quality of discourse is based on rational fallibility. This is, of course, an ideal situation; there is no concrete example in the world of a polity which has such a public sphere. Deliberative democracy requires a rationally-motivated discourse. When the concentration of media ownership, expressed in its total meaning, the capacity for a functioning public sphere is less likely. Powerful groups are able to intervene and effectively distort the evaluative process to the extent that there is even a field of study, "agnotology", that studies widespread ignorance or doubt (of which the aphorism "fear, uncertainty, and doubt" is a popular example in the technical world), usually inaccurate or misleading scientific data, but certainly for political issues . The famous paper by Dunning and Kruger  also of interest here. If an individual is subject to external falsehoods, and is lacks the ability to rationally investigate the propositions, then they are likely to accept the "special knowledge" that they have had revealed to them. In a contemporary example, rather than empowering rational discourse the medium of some Internet technologies actually allows for falsehoods to spread rapidly. It was John Selden, the British jurist and politician of the 16th and 17th centuries who made the pithy comment that parliament was invented because "the room would not hold us all", thus justifying representative democracy by vocational politicians rather than the direct democracy of citizens as in the Athenian city-state. The gradual effect of such exclusivity has meant that politicians now rarely have direct access to the views of the citizenry, and the involvement of citizens in public discourse has been subject to information provided an increasingly centralised media, despite the valiant efforts of several research organisations to determine the relative freedom, fairness and accuracy of media . 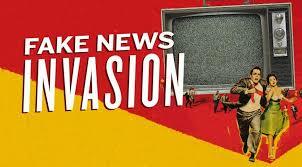 Whilst the direct political censorship of facts is the most form of manufactured ignorance, the effects of concentrated media ownership can also contribute, partially by deliberate acts of misinformation, but mainly by selectivity in determining what stories are newsworthy. Michael Betancourt in particular argues that in the post-industrial economy affective labour has a particular priority, necessitating "agnotologic capitalism" . The room can now hold us all, but it the holders of mass media creation are still extremely skilled at commodification of information, and the resulting distortion of the public sphere. For an effective deliberative isocracy, a series of related preconditions have been stated. These include the ontological autonomy of individuals to self-regarding acts for mature minds, and a like independence through informed consent by direct participants of such individuals. With these in place democracy has the political conditions to move from a pleocratic rule of the majority to a liberal-democratic rule of political equals. To satisfy the requisite economic component as well, at a social-democratic minimum, an equal share from resource rents as a minimum income removes the main cause of externally distortions to decision making. Combined these satisfy the requirements of an isocratic democracy. To establish a deliberative isocracy, a political decision-making environment is required whereby citizens may directly participate in policy development from a position of critical and informed opinion, itself necessitated on an education system that incorporates reflexive learning, but also a public media that is dedicated towards the provision of accurate information. The Internet is indeed "a room that can hold us all", however the sources of the information that people use are not always accurate. The ascendency a post-truth world is sufficiently important that it has been classified as the Oxford Dictionaries Word of the Year in 2016. Yet the provision of such information does not come without its sources; this includes ABCnews.com.co, Denverguardian.com, Alex Jones' InfoWars, Natural News, World News Daily Report, Prntly, among many others . In addition it is well documented that individuals are being paid to engage to shill for particular political positions (e.g., 'Trolls from Olgino' ). Liberal proposals - such as advocating fact-checking sites, or automating such tools, are good in themselves, but they overlook the fundamental problem that for most people a salacious falsehood is invariably more interesting than a prosaic veracity. Whilst defamation and slander law can be used to protect individuals and legal persons from the malicious untruths, there is no such protection for the public sphere as a whole - and it is certainly time that this should become available. Just as truth should be an absolute protection against claims of defamation, the deliberate act of providing falsehoods should be seen as damaging to society as a whole . Returning to Churchill, the quip is largely correct: democracy is the worst form of government except all those other forms that have been tried - but Isocracy has not yet been tried. The model of the Paris Commune (c.f., Karl Marx, The Civil War in France, FP 1871) and other examples (e.g., the early Soviets, decision-making in the Second Spanish Republic) are oft-cited examples of addressing this lack. For example, the Swiss canton of Appenzell Innerrhoden was the last canton to grant women the vote on local issues in 1991 when it was forced to do by the Swiss Federal Court. "Obviously a society, to which stratification into separate classes would be fatal, must see to it that intellectual opportunities are accessible to all on equable and easy terms. A society marked off into classes need be specially attentive only to the education of its ruling elements. A society which is mobile, which is full of channels for the distribution of a change occurring anywhere, must see to it that its members are educated to personal initiative and adaptability. Otherwise, they will be overwhelmed by the changes in which they are caught and whose significance or connections they do not perceive." James S. Fishkin, "When the People Speak: Deliberative Democracy and Public Consultation", Oxford University Press, 2009. See also Susan C. Stokes, 'Pathologies of Deliberation' in Jon Elster (ed), "Deliberative Democracy", Cambridge University Press, 2008. In describing such media sources as purveyors of falsehoods the author encourages their owners to sue for defamation and let a court of law decide whether or not their material has always been factual. The provision of satire, fiction, dramatic arts etc, expressed as such are obvious exclusions. Commenting on this Story will be automatically closed on March 2, 2017. Also cross-posted to talk-politics where it received 'Highly Recommended' status. Why Amish don't Get Cancer? Well obviously with a low-alcohol and no tobacco lifestyle there is certain cancers that they will have reduced rates. However the NewYou article is full of utter nonsense. "... has revealed that Amish people have virtually no cancer within their population." Seriously, I don't know why people are even allowed to publish such blatant lies. "The age-adjusted cancer incidence rate for all cancers among the Amish adults was 60% of the age-adjusted adult rate in Ohio (389.5/10(5) vs. 646.9/10(5); p < 0.0001). The incidence rate for tobacco-related cancers in the Amish was 37% of the rate for Ohio adults (p < 0.0001). The incidence rate for non-tobacco-related cancers in the Amish was 72% of the age-adjusted adult rate in Ohio (p = 0.0001)." The journal article also makes the frankly remarkable claim: "The Amish have not been previously studied for cancer incidence", which is completely untrue. Here is a 1988 article which does study cancer incidence among the Amish. "Cancer of the oral structures, pharynx, larynx, and esophagus is also generally quite low. Amish and Hutterites have unusually high rates of breast cancer and juvenile leukemia." Here is another from 1983 and another from 1968. Unsurprisingly, New You has deleted all the comments. Political campaigns do not require to meet advertising standards.